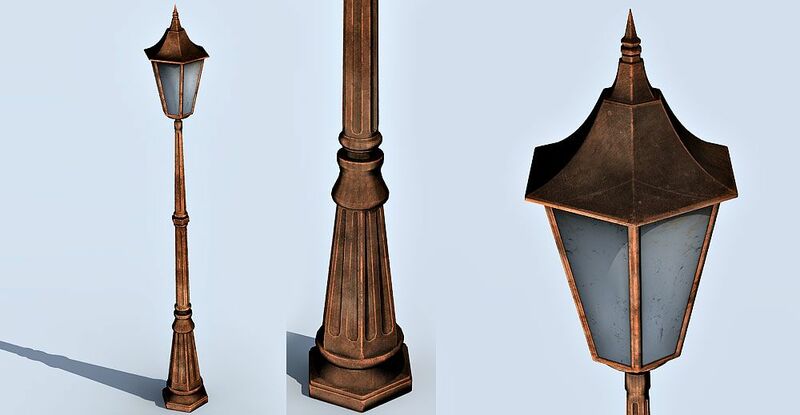 3d model of lamp post, quad faced, high resolution 3d mesh, with UVW mapping and textures. Textures include Diffuse map and Specular map at 4096x 4096 pixels. good for close up renders and animation, 3d illustration and architectural visualization. No need of additional texture or mapping, can be rendered with any 3d software, included 3d formats for 3dsmax, Maya and Obj. You must register and login to download the file.